YAK were a 4 piece instrumental progressive rock band who played between '82 & '84. The line up consisted of Robin Hodder (guitar), SySnell (bass), John Wynn (drums) & Martin Morgan (keyboards). 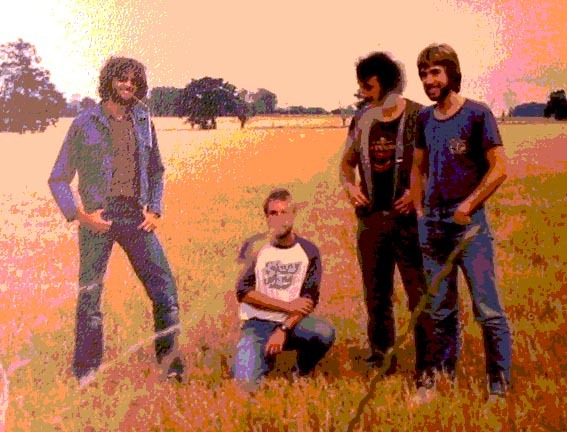 The band stopped playing when jobs took the members to disperate parts of the UK. The material had only ever been recorded in Lo-Fi but Martin was determined that it should not be 'lost'. 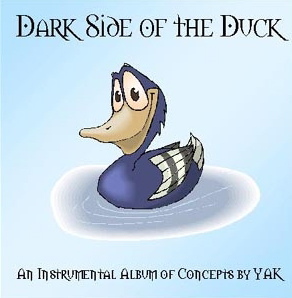 In 2003 he set about re-recording 8 of the YAK tracks which were released as the "Dark Side of the Duck" album in Feb '04. Following this and enthused with the response, the band re-formed - original line up, but now with Max Johnson on bass. A live EP, "Does Your Yak Bite ?" 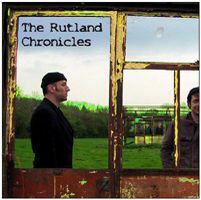 was released in 2005, and the same line-up released the jam collection "The Rutland Chronicles" the following year. I got in touch with Martin and here is the result........ the Yak interview. When, where and by whom was Yak started ? Did any of you, past and present Yak members, play in any other bands before joining up in Yak ? Why did you choose that name ? The YAK name came to me just about the time I bought my first synth in ‘79, an ARP AXXE (after some considerable saving effort!) I was very interested in Tibet and the whole idea of the Himalayas and remote wild places, so it wasn’t long before I settled on the name ‘YAK’ as being, what I thought was, a good name for a band. 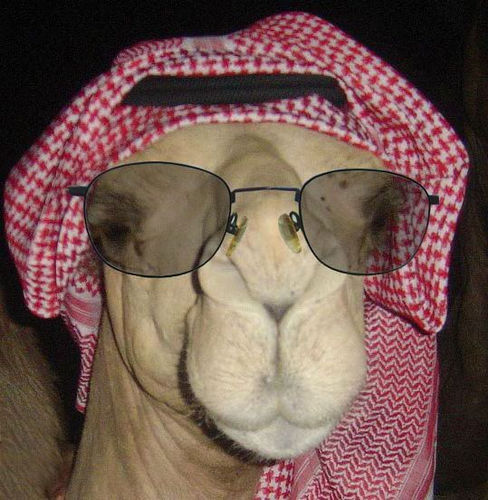 I guess too there is a bit of homage to ‘Camel’ in there for good measure! At this point however the band only existed as a ‘concept’ and a few more years were to pass before a band called YAK was actually formed. Having just left school at 18 in 1982, some friends were getting together to jam - Robin Hodder & John Wynn. They invited me over to join in. Just prior to that John & I had been in a short lived experimental band called ‘Acid Fantasy’. Initially the new and ‘unnamed’ band just played a few Santana covers and jammed ruthlessly in the key of D minor – now generally accepted as being the saddest of all the keys - but after a while we started to learn & play our own riffs - mostly in odd time signatures - and so YAK were born. At this point in my life I had not heard of ‘Progressive Rock’ as such, although the bands I was mostly listening too would be classified as such. So YAK was not formed specifically as a ‘Prog’ band - just a band that would eventually be the conduit through which to present my musical ideas. Well this was the early eighties ! - It was Boy George & Haircut 100 which ever way you turned & what with the discovery that many old school friends had mysteriously morphed into ‘new romantics’ the times were desperate indeed! I do actually enjoy other music than Prog & about this time I also played with a Jazz Rock band in Buckhurst Hill. This was a real musical eye opener from my perspective - a real drop in the deep-end musically speaking as I had done all my classical grades to Diploma, but that had not prepared me to cope with the nightmarish chords this music would throw at me ! - Thankfully, the drummer & guitarist of that band had a Jazz Pianist Dad & he showed me how he constructed chords & I learned a lot in the few years I played with them. Over to your albums. Your debut album was Dark Side Of The Duck from 2004. Please tell us more about this album. 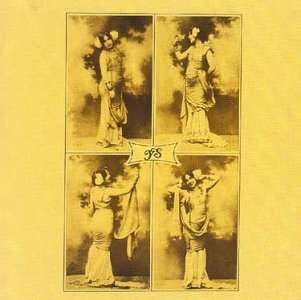 Yes – time was marching on, as it tends to, and I became increasingly aware that I had not actually got round to releasing an album and my 30’s were fast running out. With a full time job and the animal sanctuary we have at home – we look after 400 rescued animals, but more about that later… there was little time to get a lot else done. However I desperately wanted to record and finish off some of the old riffs and pieces that we used to play back in the early eighties. So I set about recording them at home on a workstation simulating the band electronically. I have no proper recording facilities for acoustic instruments like drums, so “electronic” was the way forward. So working late into the night over a period of about 4 months, often by candlelight (for effect..) I programmed the 8 tracks for the album. Having no recording equipment as such at the time, I simply went from the mixed stereo out of the workstation into a CD recorder and burned the first YAK album. Most of the 8 tracks are old Yak pieces, but a couple of the tracks were more recently composed – specifically ‘Aragorn’ was penned in about 2005 & ‘the Swan’, the closing piece was just a piano improvisation which I embellished with effects & harmonies. ‘Leylines of Yak’ was always the one the original band attempted to play whenever we got together, but the frequent time changes usually meant that we generally failed to make it all the way through ! You also released a live album called Does Your Yak Bite? 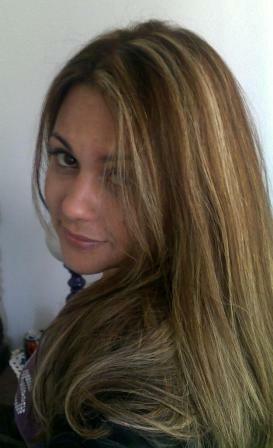 in 2005. Please tell us more about this live album. Clearly this was a Lo-Fi recording effort, however there were 2 improvisations which made it to the album which I was quite pleased about – the first we called ‘Himalaya’ & this was literally the first thing we played after powering up. It was a bit tense as, well 20 years was a long time to not play together & with improvisations it does rather depend on how well you know the guys, however, after the first few notes I knew it was going to be OK. The 2 nd improvised piece we called “The Road Goes Ever On”. The other pieces were the band having a bash at some of ye olde Yak pieces. Your third album was The Rutland Chronicles from 2006. Please tell us more about this album. The following year we met up again for another “jam” – this time in a cottage in Rutland – photos available on the main Yak website ( www.yaksongs.com ) – Again we were joined by Max on bass & we spend the weekend jamming, eating toast & making some attempt to run through my newer material – some of which was early versions of tracks which were to feature on ‘Journey of the Yak’ in 2 years time. This live album is for serious completionists only ! 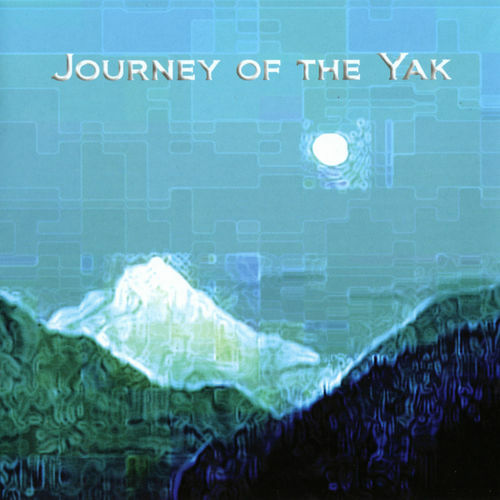 Your fourth and most recent album is Journey of the Yak from 2008. Please tell us more about this album. One year later we had another rehearsal at the Metheringham Music factory near Lincoln. Unfortunately Max was unable to make it & so Yak were a 3 piece that weekend. At this point I had written much of the material that I wanted to record for the next Yak album and was keen to try it out with the band. Following the weekend, I decided that it was going to be difficult to get what I wanted to achieve musically to “studio album” quality – particularly given my time constraints – by the way, these “ weekends away ” were my “only” annual holiday in each year – the rest of my time is taken up with work & animal sanctuary matters ! So I had kind of resided myself to the decision that I would record ‘Journey of the Yak’ as a solo effort as I had done with the debut album. I had however set several of the new pieces streaming on Yak’s MySpace page and these tunes caught the attention of Dave Speight. Dave was the drummer for ‘Harmony in Diversity’ which was Peter Banks’ band (Peter was the first guitarist with YES). Dave was also playing for ‘Whimwise’, which is Nick May’s band – Nick was with ‘the ENID’. Dave was not too far away from me & after a few online conversations we met up to see if we could work together. Dave had the solution to my “not being able to record drums at home ” problem, as he had an electronic kit which we could plug straight in to the mixer – result! Dave’s friend and long time accomplice Gary Bennett (also local to me) was drafted in to play bass & so as a three piece we recorded ‘Journey of the Yak’ between April & August 2008, releasing the album in the November. Again I circulated the album to the prog sites and have had some fantastic reviews, all of which I am very grateful for and have posted on the reviews page of the main Yak website . What have you been up to since the release of Journey of the Yak ? Well it was quite exciting to get a call from Jerry Ewing (classic rock presents PROG magazine) who wanted to feature YAK as a threshold band. We went up to their studios in London for the photo shoot and were featured in issue 6 which came out in 2010. This helped promote the music to a wide audience which was great. Earlier, in 2009 I was asked to supply a track for a compilation album being put together to feature artists inspired by Tolkien. 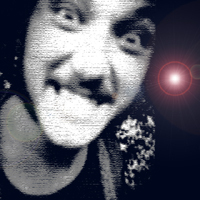 The album was called ‘The First Ring’ and I decided to re vamp and re-record the track ‘Aragorn’ from the debut album. That first album was recorded with sounds that I would now describe as having a 80’s feel – whereas the sound-set I was using in 2009 I think had a more 70’s ish feel – mainly due to the various Mellotron samples I managed to glean. How is the creative processes in your band from coming up with an idea to it's being recorded ? The other important composition technique I employ is improvisation – I find it very useful to record what is being played as you may sometimes stumble across something that you wonder what it was you did & without having recorded it, the idea can be lost – sequencers are great tools for quickly capturing ideas. Clearly I don’t meant to imply that music created this way is random as I aim to improvise melodically -rather than hit random notes until something good comes out! Well I don’t really like to compare YAK to any bands – however as a reference point, many of the reviewers of the ‘Journey of the Yak’ album have referenced early Genesis, or Steve Hackett’s solo works, some reference Camel, some Eddie Jobson. I describe the music of YAK as “Instrumental Progressive Rock” The music is melodic and of a structured nature often with recurrent themes. With each piece I try to build a sound-scape which will transport the listener off to where they let the music take them – some tracks are clearly Tolkien inspired, ‘Aragorn’, ‘Gates of Moria’, ‘March of the Huorns’ and Hopefully the music will conjure the appropriate landscapes in the listeners minds eye – clearly with no vocals I have to let the themes & progressions do the talking. Tracks like ‘Jadis of Charn’, a concept piece based on the White Witch of Narnia – again hopefully the music will paint the imagination of the listener. What are your plans for this year and beyond ? The key priority at the moment is to continue to work on the ‘Quest for the Stones’ album. I am still writing some of the material but its starting to come together now – literally in the past few days. It will be still some time before I am ready to release it though. Firstly, thank you for giving me the opportunity to talk to you about YAK – I really appreciate it. I mentioned earlier that outside a full time job, a lot of my time is take up with the animals we have at home – we have about 400 rescued animals, including 38 horses & 39 dogs and importantly ALL the dogs live with is in the house !! All live at Tower Hill Stables Animal Sanctuary which is run by my partner Fiona Oakes. The Sanctuary is not a business, we don’t earn anything out of it, in fact it’s quite the opposite as we have to find over £5K a month to cover the feed costs let alone vets bills – so I hope you can appreciate that the financial strain is huge. All the animals are saved from slaughter & we look after them until the pass on or have to be put to sleep due to their health & well-being. Clearly I don’t earn enough to fund the entire cost of the operation (that would be ridiculous!) and so we are always looking for fund raising opportunity – so the proceeds from every YAK CD sale goes to the Sanctuary – I am not selling my music for personal gain, its just to raise money for the Charity. I pay for the postage & materials personally, so that 100% of what is donated for a YAK album goes to the charity. I have sold about 900 albums so far – not all at retail, as the album is available from many online Prog stores & clearly as they buy in volume they buy cheaper – but again everything they pay has gone to the Sanctuary. Fiona, as well as looking after all the animals, is also a marathon runner with a pb of 2 hours 38 – so that puts her in the top 10 UK female bracket, which is an incredible achievement considering all the animal work, plus Fiona has a knee replacement ! & no kneecap !! – just google ‘Fiona Oakes’ to read about her …& she plays bass ! Great interview. They had a couple of albums I enjoy a lot. Their sound is charming. I have their latest album Jorney of the YAK and I am truly blown away by them, these instrumental tracks are skilled fusion symphonic prog, so beautiful and mesmerizing. Very, very good and talented musicians. This album grabbed me.